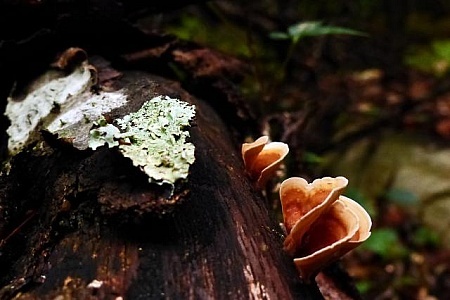 Fungi and lichen growing on a dead fallen tree trunk in a forest in Autumn. 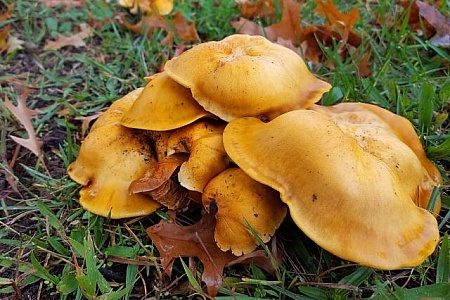 Yellow mushrooms growing on a neighborhood lawn. 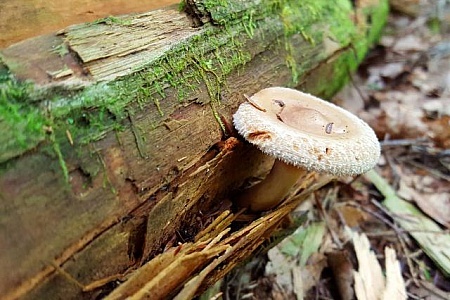 Mushroom and lichen growing on a log in a forest.